14 Good Alternatives to the LS2 FF390 Breaker? 15 Definitely want an LS2? The LS2 FF390 Breaker is a thermoplastic-shelled all-rounder full face motorcycle helmet, designed to work for most road-riders in most conditions. 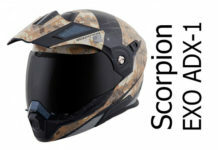 Interesting features include a built-in drop down sun visor, a Pinlock Max Vision main visor – plus it comes in a wider range of sizes than most helmets (up to XXXL). 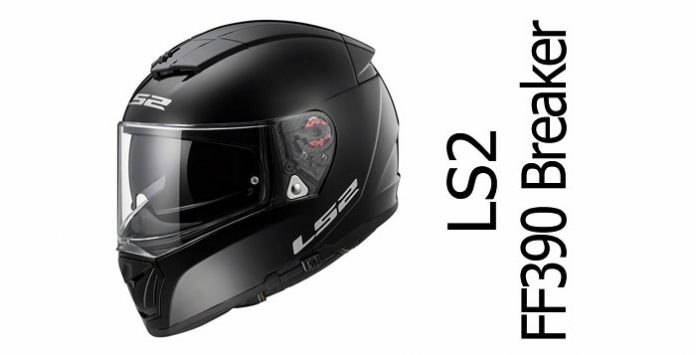 So here’s the low-down on the LS2 Breaker – including a look at all its main features and research on what owners think of their helmets. LS2 says the helmet shell of the Breaker is produced using something called KPA or Kinetic Polymer Alloy. There’s no more information out there about what this actually is and reading between the lines, we think it’s probably a fancy name for a thermoplastic shell (though we’re more than willing to be proven wrong). There’s no issue with thermoplastic helmets of course. Many of the best scoring helmets are thermoplastic – but we’d prefer it if helmet makers came clean with exactly how their helmets are constructed. Having said that, we can usually tell how well they actually perform (whatever they’re made of) thanks to the helmet testing guys at SHARP (or Snell in the US). The UK’s SHARP helmet testing labs have put a batch of Breaker helmets through it’s rigorous testing regime where it scored a relatively lowly 2 stars out of 5 for safety. That’s a lower score than LS2’s average (before this test) of 3.1/5 across all helmets tested and is a lower score than we’d recommend buying – we usually recommend either four or five star helmets only. 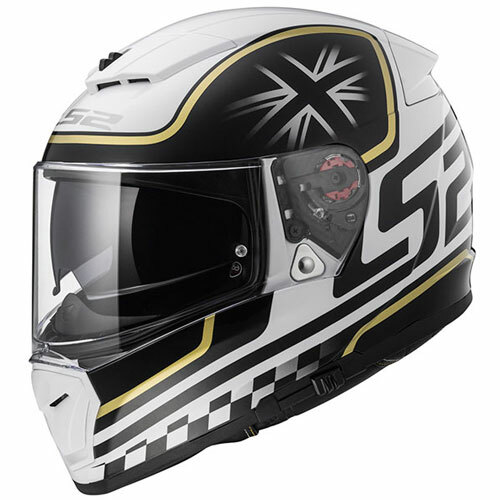 So if safety is your number one concern when buying a helmet, we’d suggest you check out helmets in our ‘safest helmets‘ pages. Of course, all helmets on sale have to stick to certain minimum standards, and the LS2 breaker is both ECE 22.05 (Europe) and DOT certified (US). Which gives us at least a certain level of peace of mind that it’s not going to fall apart as soon as it hits the road. OK, so that’s helmet testing. But there’s other stuff that contributes to helmet safety. And in the case of the Breaker, there’s that Pinlock-ready visor with a Pinlock max vision coming in the box; meaning you’re gonna have a helmet with a fog-free visor, which is excellent news. The Breaker also has an integral sun visor; important for making sure you don’t get too dazzled and can spot obstacles in the road, even when the sun’s low. The Breaker is also made in 3 helmet shell sizes – that’s great for optimal fitting/safety – and it has multi-density shock absorbing lining in there, designed to give progressive shock absorption during an impact. And if you do have an accident, the Breaker is fitted with LS2’s version of EQRS. That’s a system where medics can remove the cheek pads from underneath the helmet to make it easier to remove the helmet without damaging the neck or spine. That’s a great feature (that you’ll hopefully never need!). And finally on the safety front, the helmet’s secured onto your head using a second generation micrometric fastener – that’s the convenience of a micrometric but using a metal ratchet strip instead of plastic. We all want a helmet that’s going to suppress noise, but they’re few and far between (find some of the quietest helmets here). Unfortunately, the LS2 FF390 Breaker isn’t going to join our illustrious list. Because the word is – and this is from riders and owners remember – that the Breaker’s noisy. As usual, some owners say it’s fine. But others say it’s particularly noisy in cross-winds, even at lower speeds. One owner pointed to it being the poorly seated main visor being the cause of the problem – even though folks all-round praise the build quality of the Breaker. So if you do buy one and find the visor doesn’t seal well enough, you can take a screwdriver to the visor plate (where the pivot point meets the visor), loosen it off a little and push the base plate towards the rear of the helmet before tightening it up again. One owner who did this said it made the seal really tight and solved much of the noise problem. Ventilation on the Breaker is reported to be decent. There’s a nice large slider covering the chin vent. That’s reported to be easy to find and use in gloves and brings a delivers a good amount of air up behind the visor and around the chin area. Similarly, a decent amount of air finds its way around the scalp courtesy of the crown vents. There’s a single smaller sliding-switch up top and the dual vent delivers quite a bit of air around the head, venting out of the back of the helmet through the exhaust set in the rear spoiler. The LS2 Breaker has both a Pinlock-ready main visor that comes with a Pinlock Max Vision insert in the box. The visor’s also optically-correct and has a quick-removal system. Here’s some more information about Pinlock visors – but suffice to say that the main visor on the Breaker has everything you need from a ‘do-it-all’ helmet – it has a decent size aperture and that Pinlock should keep things fog free in pretty well all conditions. See the noise section for information about possible visor seating problems (and how to fix them). Other than that potential issue, the visor system on the Breaker seems to do everything well. It opens using a tab in the middle of the visor (great for opening with either hand). And the quick-release visor mechanism is one of the best. Just open the visor, pull the triggers forward on each side of the visor and out it comes. Simple. It’s also Class A optically correct, meaning that it shouldn’t have any distortion: though in practice we’ve rarely found standard visors give much cause for concern. The visor mechanism itself has two positions – fully open or closed – rather than working on the more conventional ratchet mechanism. It can be opened to any number of intermediate positions of course, so it’s down to preference whether you prefer a ratchet system or this friction-type system. Finally on the main visor, it’s nice and thick – about 3mm – which is something normally seen in race visors. The sun visor is lowered using a slider to the left hand side of the helmet – which is arguably the best place to put it. Like many sun visors, it doesn’t drop down entirely, meaning it can accommodate lots of shapes and sizes of noses without hitting the bridge of the nose. On the downside, it does mean one or two owners complained about it not dropping down low enough, leaving a stripe of bright light towards the bottom of your vision. Similarly, one or two owners complained it’s a little too light – though generally that’s from people who live in hotter/sunnier areas. So if you’re reading this from Northern Europe, I shouldn’t worry too much. And besides you’ll find nearly all sun visors can be too light in full-on summer sun. Legally, they’re not allowed to cut out too much sun so they’re only allowed to make them so dark. 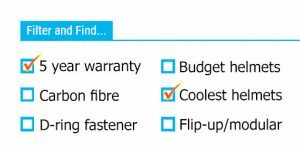 Sizing of the LS2 Breaker seems to be about right, so check our fitting guide, order the correct size and you should be good to go. That’s as long as you’ve an oval shaped head – if you’ve a rounder shaped head, you’re probably best to look elsewhere. Inside the Breaker, the lining is removable/washable, it’s also breathable and hypo-allergenic. Interestingly, if you do remove the lining, unlike most manufacturers, LS2 likes to use magnets to clip everything in place (what it calls a magna-tech liner) which should also help the EQRS system work more easily. And is it comfortable? Well, it seems so because every owner we read an opinion from said it feels snug and comfy. It also has glasses grooves inside and a couple of owners said they work well, so might be a helmet worth considering if you need to wear glasses (or like to wear sunglasses). 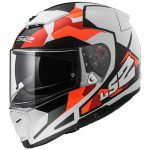 The LS2 Breaker is a decent looking helmet, with a modern angular design accompanied by the usual range of solid plain colours and some interesting graphic versions. There’s a gloss and matt Breaker Solid in black and a gloss white version – along with a classy ‘titanium’ solid version too. If you’re after graphics on your helmet, you’ll find the Breaker Sergent as well as the Split graphics shown up and down this page. Though to find more graphic options and check out any discounts available on the Breaker, please click the links to our recommended retailers below. 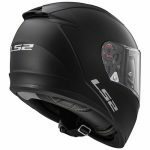 The LS2 Breaker is a pretty light weight helmet – weighing in around 1.4Kg (give or take 50g depending on size). That’s on the very edge of what we’d consider a light weight helmet so for the money, that’s great going. We don’t have word on how well the FF290 Breaker fits bluetooth systems. All we know is that it’s designed to fit the LINKIN Ride Pal communicator which is LS2’s own system. So we’d assume there’s space for phones/mic in there but expect to have to stick your system to the outside of the shell. Onto aero and owners seem to reckon that the aero on the Breaker is very good – with little buffeting even when looking over the shoulder at motorway speeds. For such a low-priced helmet, owners reckon the Breaker is very well built. Obviously we’ve mentioned a potential problem with the fitting of the visor (see Noise section) but that aside, finish and quality of materials is high. 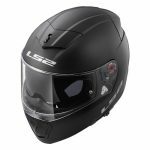 Finally, all LS2 helmets come with a one year warranty. You need to balance up the price of any helmet with the features it offers when you’re buying any helmet. And on balance, the LS2 FF390 Breaker definitely seems to offer more than it takes. 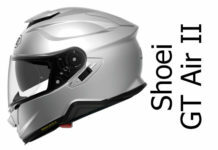 The price is very competitive and if you’re after an all-rounder helmet, then it offers you quite a bit in return. That visor is a quality optically correct visor with a great quick release system and coming with a Pinlock Max Vision anti-fog in the box. It’s also got EQRS, the usual quick-and-easy to use micrometric fastener and the inside is both comfortable and easy to clean. Of course, when you buy a helmet, you want to protect you in an accident, and the only way to really know how well it’ll do – aside from throwing yourself down the road – is by independent testing. 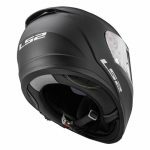 The LS2 Breaker is both ECE and DOT certified so should offer at least a minimum level of protection, but performed below average in the UK’s SHARP helmet tests where it scored just 2/5 stars. Shame it’s only got a 1 year warranty too. 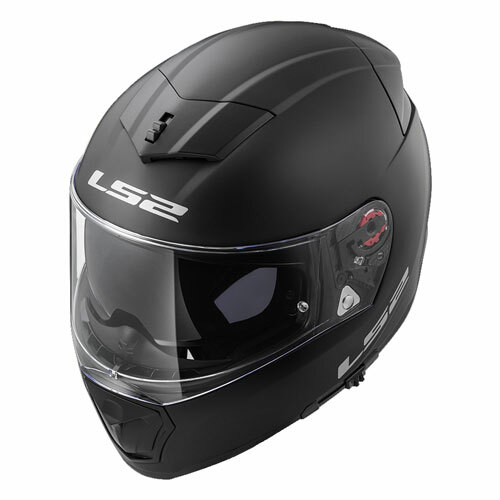 Aside from those blots in the copy book, from what we’ve seen and owners tell us, you’ll get a good value for money full face helmet with the LS2 Breaker and it’s a helmet that owners say gives good riding performance and is easy to live with. Unfortunately, because of its low SHARP test score, we can’t recommend buying a Breaker. So for some recommended alternatives, please check out the helmet links below. Good Alternatives to the LS2 FF390 Breaker? 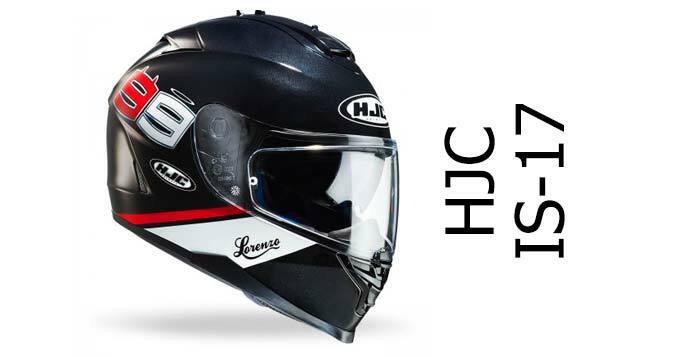 First off, there’s the HJC FG-ST, that’s a SHARP 5 star safety rated fibreglass full face helmet with a Pinlock Max Vision and internal sun visor that costs about the same as the Breaker. 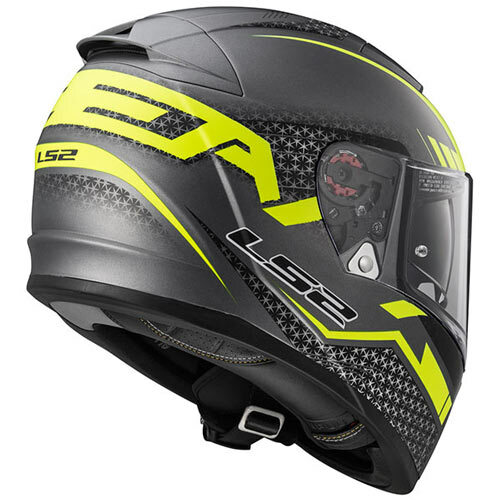 If you’re interested in an LS2, there’s the FF323 Arrow which is a SHARP 4 star rated full face helmet with all the usual LS2 goodies (Pinlock Max vision, optically correct visor) that’s even lighter than the Breaker and only costs a few quid more. 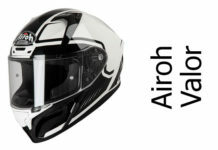 Or if you’re thinking about a flip-up helmet, how about that perennial favourite the AGV Compact? That’s a SHARP 4 star safety rated modular that’s slightly heavier than the Breaker but has a sun visor and is well liked because it’s comfortable and well ventilated. 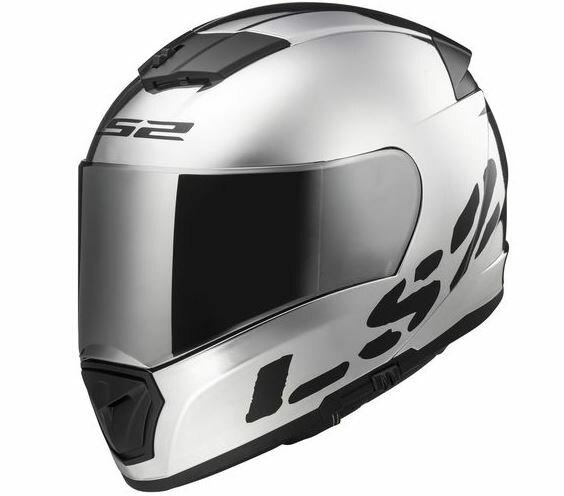 If you're after an all-rounder motorcycle helmet, then the LS2 FF390 is a great value package that's worth looking at. It's got a quick-release, Pinlock Max Vision visor that's optically correct. A drop down sun visor. It's available in a wide range of sizes and has EQRS built in for quick removal should the worst happens. It's pretty light too and is available at a price that won't break the bank. Unfortunately it only scored 2 stars in SHARP safety testing putting a big question mark over what was otherwise a very competitive package. Had the Breaker about a week. Easily the loudest helmet I have owned, especially at motorway speeds…. 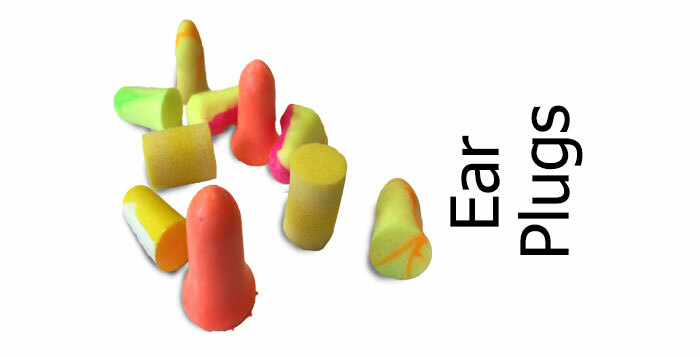 It’s actually mound enough to make your ears ring. It is comfortable, light and glasses tabs work very well. I just bought ls2 breaker. And I just use it for 1 day. Actually, the noise stuff you write, I don’t feel it. It’s not that noisy. But my biggest problem is the vent. I don’t feel any wind at all from the top vent. And from mouth vent, I only feel a little wind coming inside.